What is Botox 100 U? 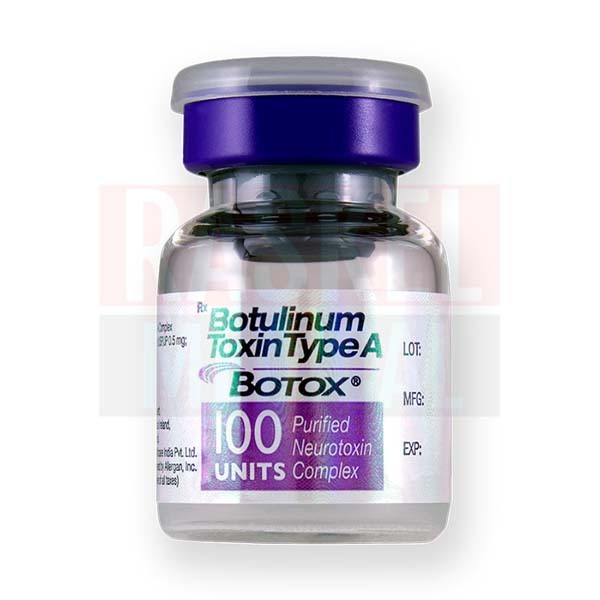 Botox 100U (onabotulinumtoxinA) is a prescription medicine that contains an active constituent protein complex derived from Clostridium botulinum bacteria—the causative agent of botulism poisoning. The concentration of neurotoxins in Botox is too small to cause serious illnesses: rather, it has therapeutic effects in a variety of medical and cosmetic indications. It has been granted worldwide approval to treat a wide range of ailments, including neurological, bladder, and skin disorders. However, its most popular uses are cosmetic: currently, it is approved for improving the appearance of glabellar lines and crow’s feet. 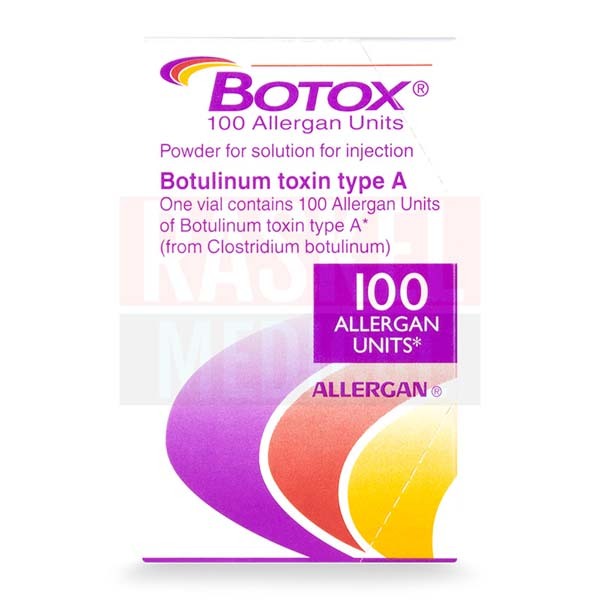 Botox 100U is the most widely-research brand and preparation of botulinum toxin type A. For several decades, it has been the most popular non-surgical treatment approach for fine lines and wrinkles, and has been used in the US, UK, and 67 other countries. 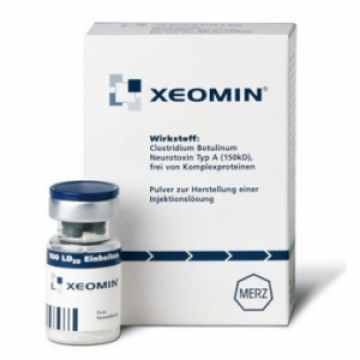 This medication treats dynamic wrinkles, which result from normal facial movement. When injected into particular facial muscles, it works by inducing temporarily paralysis. Because the targeted muscle is unable to move, overlying wrinkles will significantly decrease. 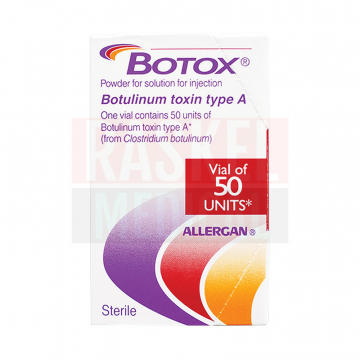 Botox is manufactured by Allergan. This product originates in the United States. 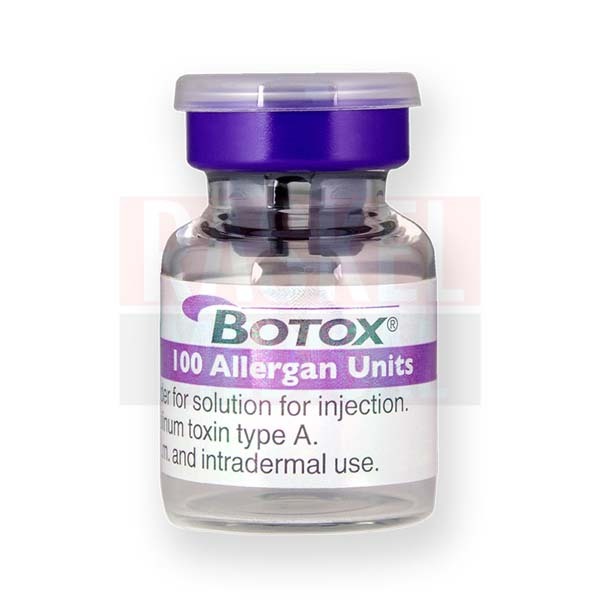 Botox 100U is indicated for the treatment of cosmetic problems, such as glabellar lines and crow’s feet, as well as medical conditions, such as blepharospasm, strabismus, bladder dysfunction, spasticity, cervical dystonia, excessive sweating, and chronic migraine. 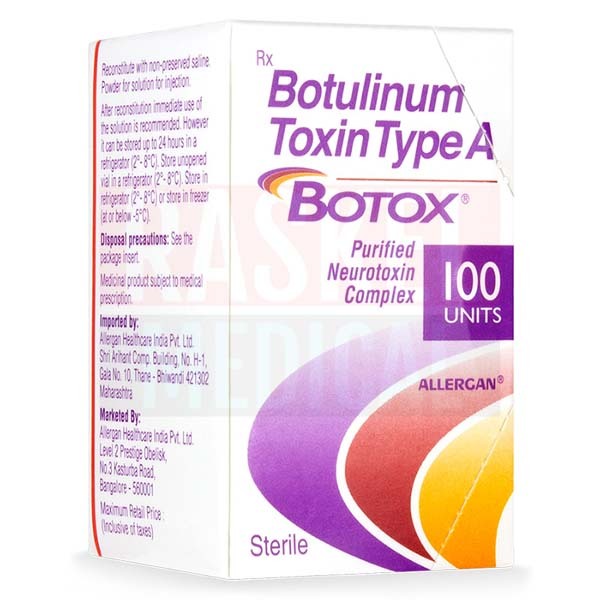 Botox 100U is contraindicated in patients with a known hypersensitivity to botulinum toxin type A or any other components of the medication. It should be used with extreme caution in patients with neuromuscular conditions (e.g. myasthenia gravis), neurological disorders, dysphagia, and aspiration. The use of Botox in pregnant and nursing mothers is not recommended. Do not administer this product to children. 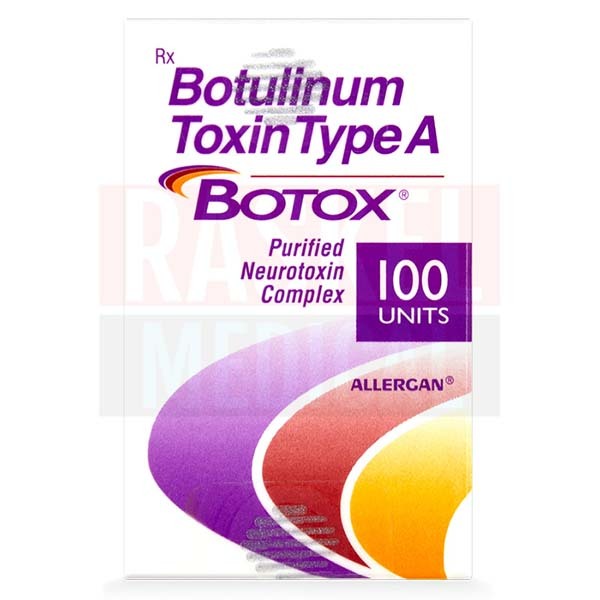 Allergan was given U.S. FDA approval in 1989 to market Botox for the treatment of blepharospasm, strabismus, and hemifacial spasms in patients below 12 years of age. In 2000, it received US FDA approval for cervical dystonia. 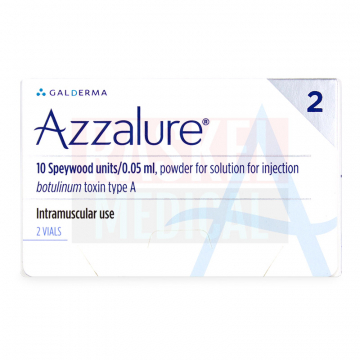 In the UK, it was approved for treatment of axillary hyperhidrosis in 2001. 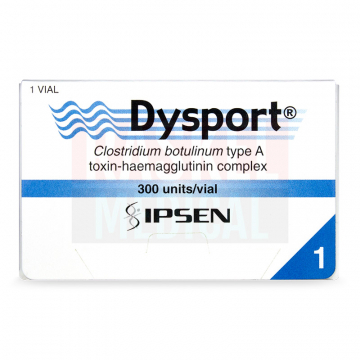 Canada followed suit, and granted license for marketing the product as a treatment for hyperhidrosis, focal muscle spasticity, and cosmetic correction of the brow line. In 2002, it was approved to treat the appearance of glabellar lines. It was approved for the treatment of chronic migraines in 2010. In 2013, the FDA granted approval for the use of Botox for crow’s feet. Prior to administration, reconstitute 100 units of Botox in 0.9% ml unpreserved sodium chloride for injection.The resulting solution must be clear, colorless, and free of any particulates. Perform the dilution of this product in accordance with proper aseptic techniques. Carefully follow the recommended injection sites and product volumes for each treatment area. For the complete usage instructions per indication, please refer to the package leaflet. Follow up injections may be performed at no more frequently than 3-month intervals. 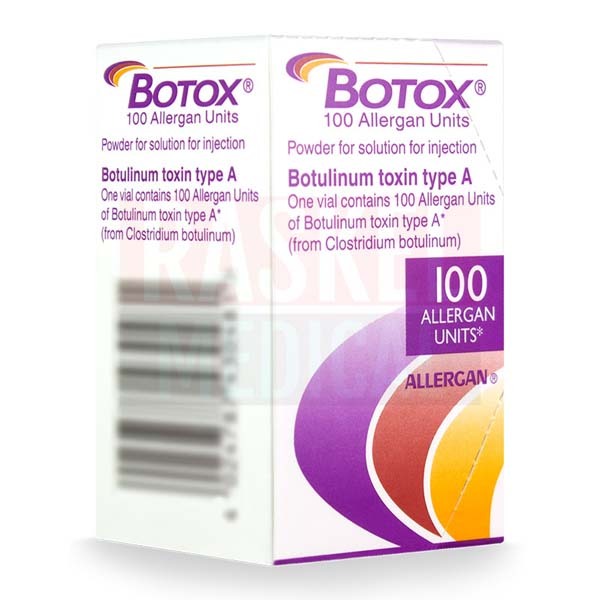 1 vial of Botox 100U contains 100 Allergan units of Botulinum toxin serotype A (150 kD) from Clostridium botulinum culture, with a protein component of 5 ng/100 units. The active ingredient is in a white powder form, and requires dilution in 0.9% preservative-free saline solution prior to injection. 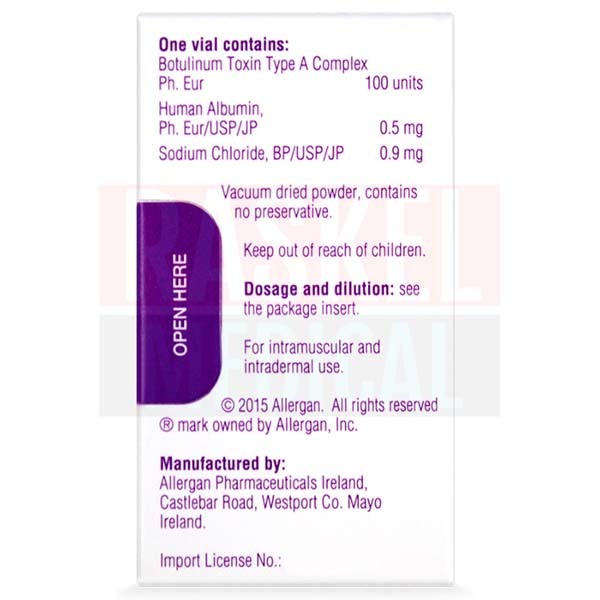 Other ingredients include 0.5 mg human albumin. The effects of Botox injections may last up to 3­–6 months. As muscle function gradually returns, previous fine lines and wrinkles will reappear. The treatment may be performed again to maintain results, if desired. 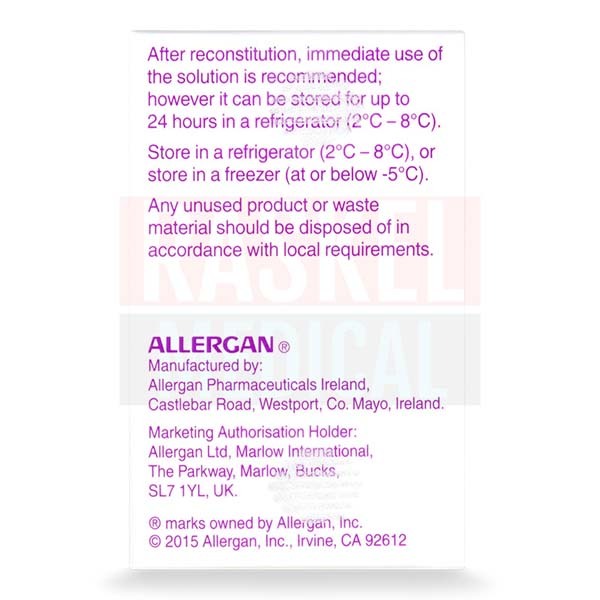 Unopened Botox vials must be stored in a refrigerator at a temperature between 2℃ and 8℃ for up to 3 years. Administer reconstituted product within 24 hours. Do not leave diluted vials at room temperature. The unopened product in its original packaging can be stored up to 3 years. Any reconstituted solution that has been stored for more than 24 hours must be discarded. Not adhering to the storage requirements may affect the integrity and performance of the medication.